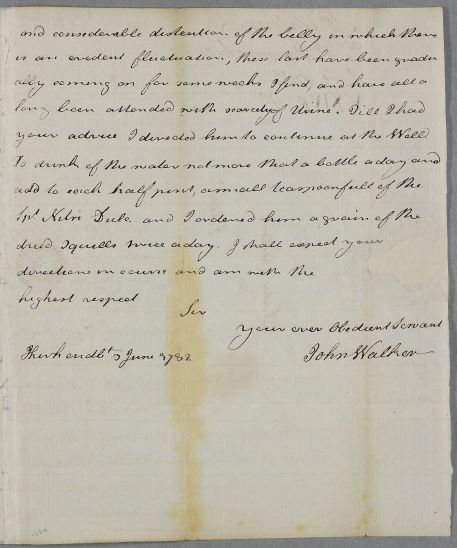 Letter from John Walker, concerning the case of Mr McConchie. 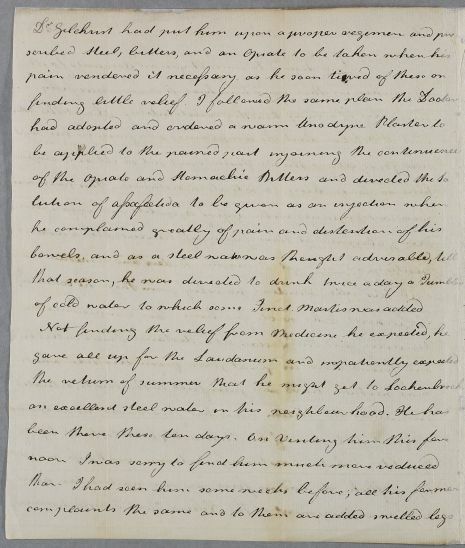 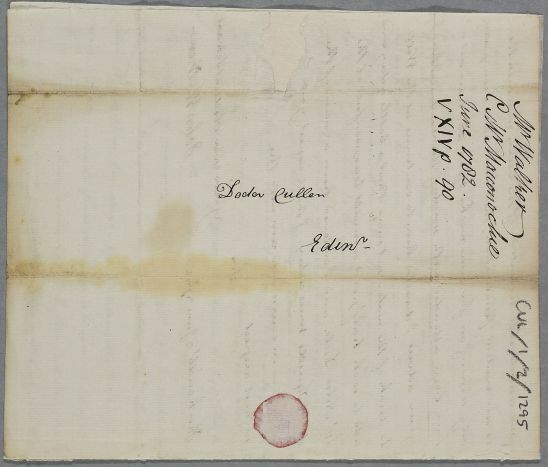 Summary Letter from John Walker, concerning the case of Mr McConchie. 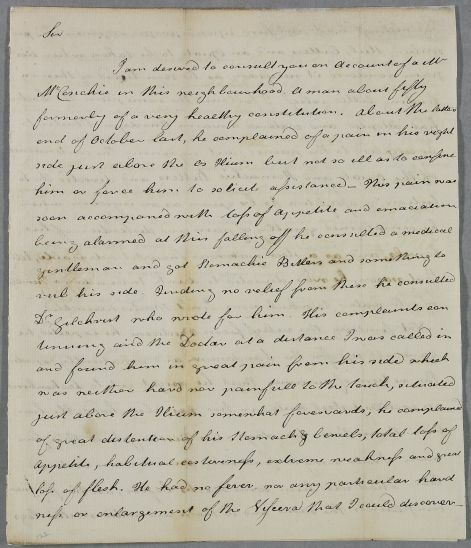 Case of Mr McConchie [Macconchie] whose illness began with a severe pain in his side with loss of appetite and swollen stomach which is now thought dropsical.